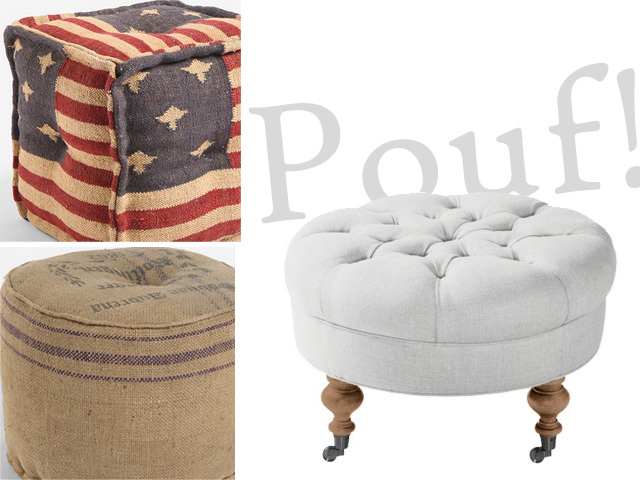 Who doesn't love a good Pouf?! Today, I have put together a few of my favorites. 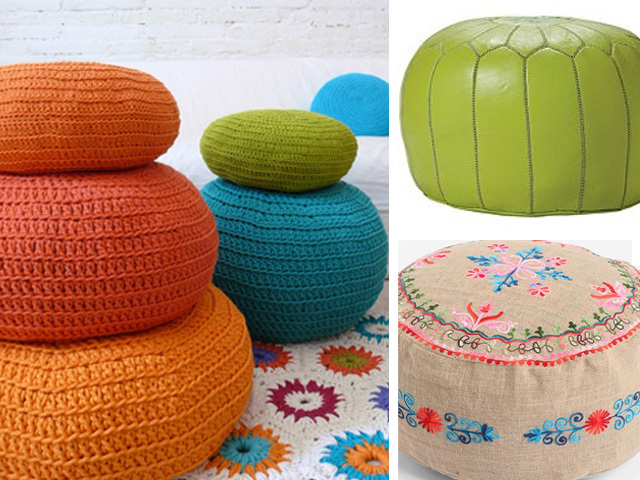 I think poufs are great and so versatile. They can be used as seating, side tables, storage, a foot rest or just to look pretty and add a little color to an otherwise boring corner. 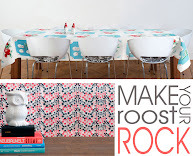 Either way, they add interest and functionality to any room. GAHHHH!!! I love poufs. Especially the bright green one you posted! I've been trying to justify buying a couple to put near our kiva-style fireplace in our home, but alas... we have more urgent home projects to work on :P Thanks for sharing!